Back in December, I posted a piece here showing how most of us have been acting contrary to doctrine regarding what constitutes a proper tithe, and how the downside of those overpayments resulted in many of us neglecting our alms. As is evident from a reading of the Law of tithing, the Lord intended tithing to cover the operating expenses of the Church; tithing has virtually nothing to do with charity. Tithing and alms are two different creatures. Providing alms and offerings to those in need is the greater commandment, and one I fear many of us have neglected because we believed that by paying our tithes, those obligations were taken care of. They weren't. Besides, I don't believe the giving of alms is a duty God wants us to palm off on others and trust them to decide where the money goes. You should be the one to look for the need then decide how your resources are disbursed. Tithing is one type of obligation; charity is another. I believe an act of charity is most effective when performed in as direct a way as possible, even when anonymously given. The giving of alms can and should be a spiritual experience for both the giver and the recipient. I just have to say my wife and I have been active in the church our entire lives and I guess we never bothered to carefully read the law of tithing in D&C 119. You have opened our eyes to how we have been doing it backwards all this time. We used to give 10% of our gross to the church, and just a little tiny bit in fast offerings. Now we have reversed that. We give the Church the tiny bit the Lord requires, and we give 10% of our gross in fast offerings to help feed the needy in the ward. Sometimes we find other ways to give, like when one of our neighbors was about to have her electricity shut off and we paid her past due bill of over $200. We also do like you do and try to never pass up a homeless beggar on the street. We always give them something every chance we have. "And the beautiful thing is we are seeing all sorts of blessings now that we have decided to do this the right way. We used to struggle to pay what we thought was a full tithe, and we did it because we believed we would be blessed for it. But those blessings never seemed to come and we thought oh well, maybe in the next life. We see now that Heavenly Father never promised blessings if we pay our tithing. That was something we were always taught but it is not written any place in the law. "So here is where we really got surprised. Since we have been giving abundantly to the Lord's children, all kinds of good things have come our way. We really truly believe we are being blessed. IN THIS LIFE!!! Of course, the real blessing is knowing we are really helping other people directly. So here is the question I have for you. 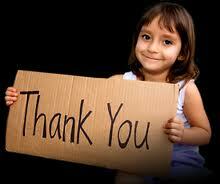 We would like to contribute some of our money each month to charities but we do not know which ones are the best. Do you have any you would recommend?" That letter went on to include all the good things that couple had discovered their family was experiencing because of the paying of alms, but for the sake of space I've abridged the letter. This is not the only example of someone relating to me how their lives have been changed by focusing on charitable giving, but I include it because this guy asked a question that, it so happens, I suddenly have the perfect answer for. First, let me say I like the idea of giving directly to another person when at all possible. Most of my giving usually goes directly to people on the street or to neighbors who need a hand up, or other opportunities that arrive in my path. So in my opinion, this letter writer has been going about it the right way. I do believe fast offerings are a good place also, because I like the idea of we Mormons taking care of our own. At the same time, I don't limit all my giving just to the church. I prefer to give it wherever I see a need arise. So, to the question about charities. As a rule, I don't give to any of the big organized charities, and for one simple reason: I'm not keen on my money paying for overhead. I don't have a lot to spare, so what I do give I want to see given directly to those in need, and not have a percentage of each dollar eaten up by administrative costs. Last year the Reno Gazette reported that the CEO of the Red Cross receives a salary of around $500,000 a year. That appears to be in the mid range for the CEO of a major charity, and that expense doesn't even include the large number of other full time employees. An online friend has argued that these charities bring in millions more than would have been possible had it not been for the marketing and promotion the paid employees provide. True enough. But because of all that marketing, the big charities are doing just fine without my help, so I prefer to give where I'll be giving more bang for the buck. Which brings me to the best opportunity for cost effective giving I've ever seen. Three years ago I wrote a piece on this blog titled If You Can't Afford Food Storage, which chronicled how, as a couple on very limited means who didn't see any way possible to acquire an adequate supply of food, my wife and I finally buckled down and just got started. I wrote of my experiences with products from three or four different companies, finally settling on EfoodsDirect.com as my hands-down favorite. Their products were largely organic, non-GMO, incredibly delicious, the best quality, and great prices. I sampled several of their meals and wrote a glowing review. 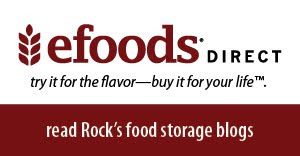 Apparently someone at Efoods got wind of my piece, because some months later I got an invitation from that company to join with a handful of other writers to start a blog on their website dealing with all aspects of food storage and emergency preparation. My area of expertise was the proper storing of water, and after I ran out of things to say about water, I continued to offer my opinion on various signs of the times from what's happening to the price of gold and silver to the mysterious epidemic of honeybee deaths. I've been posting entries on that blog twice monthly ever since. If you're interested in reading some of them, you can find them here. Anyway, a couple of days ago I received a notice from EfoodsDirect that perfectly answers the question of my reader regarding a reliable way to contribute to charity. Steve Shenk, president of EfoodsDirect, has been deeply moved by the awful devastation caused by the recent tornadoes in Oklahoma. Those poor people have been hammered over and over, and could use any help the rest of us can provide. So the Efoods Team came up with a way for folks like you and me to inexpensively place a big box of food directly into the hands of an Oklahoman who desperately needs it. And for less than half of what it would normally cost. So here's how it works: You can donate a 7-Day supply of food for just $25.00. That package normally sells for $59.95. The remaining cost of the supply including shipping fees is absorbed by eFoodsDirect. The box of food you'll be paying for contains 37 servings of food, which is more than enough to sustain a full-grown adult for a week. This is the precise opposite of the way most charities operate. Unlike many organizations that collect money and then distribute only a portion of the donation received, in this case 100% of your food donation ships directly to the victims with no administrative fees deducted. Most of those tornado victims were not very well off to begin with. I can't imagine what it must be like to try and pick up the pieces of their lives. I'm really grateful to the team at EfoodsDirect for providing this exceptional opportunity to do something for them. I'm writing this on June 7th, 2013. If you are reading it weeks or even months later and still wish to participate, as long as the link is active I'm sure EfoodsDirect will put your donation to good use. I have never seen a better way to make a charitable dollar go this far. And here's a neat little bonus: when you make your contribution, your first name and city gets printed on the label, so when the recipient gets that box of food handed to him or her, they know exactly who it came from. That's akin to you being there and putting the box personally in their hands. I like that. It provides a spiritual connection between the recipient and the giver. As soon as I get this piece posted today, I'm making my contribution. I hope you will, too. Just click here.